Before showing you how to throw a slider, I'm going to give you a little "old school" talk for just a minute. Back in my day, we threw a fastball, a changeup and a curveball. I don’t even think we asked how to throw a slider. The curveball was the king of breaking ball pitches and it was the first choice of most pros. We knew about Tug McGraw’s screwball (Tug was Tim’s dad) and heard about a few big leaguers that threw a knuckleball. But we were pretty happy with the curveball and most pitchers had a lot of success with it. The curveball has a bigger break than the slider, so why throw something less effective than the curveball. In the 1960’s and 1970’s baseball was dominated by pitchers. Pitchers like Bob Gibson and Sandy Koufax were almost unhittable. So major league baseball decided to make a change and get more offense into the game. Without changing the rule book, they shrunk the strike zone. All of a sudden umpires were not calling letter high strikes, or strikes at the knees. The top and bottom of the strike zone had been reduced by about six inches. And it continued to get smaller until the offense took off. Hitting a location with a curveball is a tough thing to do. Throwing the same bending ball repeatedly to the same spot is awfully hard to learn. Curveballs were landing outside of this new strike zone and hitters learned to layoff them. So pitchers decided it was time to learn how to throw a slider. They needed a breaking ball that would stay in the strike zone. The slider was the answer. The slider has been around for many years. Nobody knows for sure who the first to throw it was, but it is known that pitchers in the 1910’s were throwing it. And for some big leaguers over the years it has been their favorite pitch. 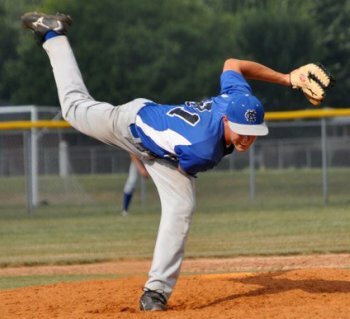 Power pitchers love to throw the slider because you use the same arm motion as a fastball. And you want to throw the slider with a lot of velocity. 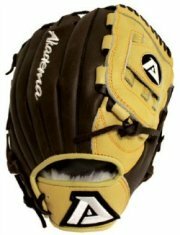 It also has a late break that is hard to recognize, and it is easy for catchers to handle. The downside of a slider is it can be very hard on the arm if not thrown properly. This makes learning the mechanics of how to throw a slider very important. And the other knock on the slider is if it doesn’t break, then it is a very hittable pitch. The slider is thrown a lot like the two seam fastball. And like the two seam fastball, it is thrown with a lot of speed. The fast speed of a slider, along with the spin, creates the late downward break. The grip of the slider, as you can see in the picture, has the index finger on a seam, where the seams are the closest together. The middle finger is placed beside the index finger, and the thumb is placed underneath, away from the seams. 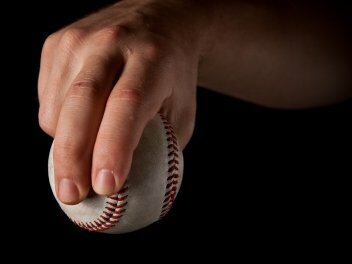 You hold the grip for a slider slightly off center of the baseball. This is going to allow you to put pressure on the ball with just your index finger upon release. Again, holding the baseball slightly off center and with the index finger on a seam, go ahead and let the pitch go with fast arm speed. The arm should be coming over the top, just like when you throw a fastball. Upon release apply pressure on the baseball with just your index finger. It will feel like you are trying to open a doorknob with just your index and middle fingers. Holding the baseball just off center will help create enough spin to allow the baseball to have a late break. 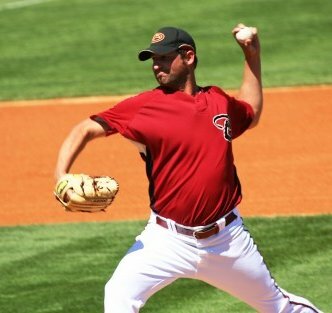 There should be “NO” wrist twisting when throwing the slider properly. Instead, the wrist should be slightly cocked to the outer side of the arm. Do not lock the wrist, but allow it to be loose, which lets the pressure of the index finger create the proper spin. And like all pitches you throw, be sure you have a good follow through. Play like there is a quarter on the ground in front of you and you are bending over to pick it up. This follow through action helps you save the wear and tear on your arm. You will need to visit the bullpen and find the right grip and release that works the best for you. The slider is one of the easier pitches to learn, because a lot of the arm action is just like a fastball. So give it a try and keep working hard.